Orchards need people! One of the most important things we have done is to teach people how to care for traditional orchards. 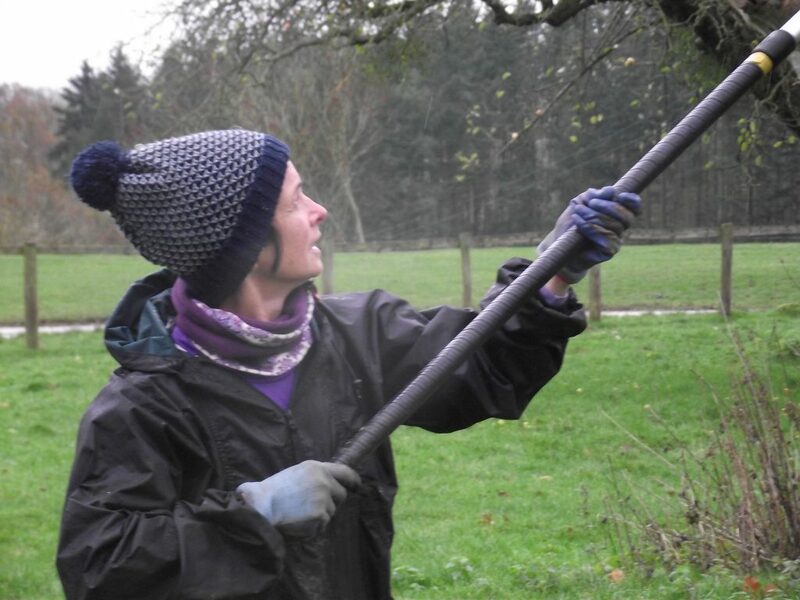 For most of the year the orchards look after themselves but their veteran trees need occasional lopping and pruning to help keep them in good health. Restoration includes planting new stock as well! 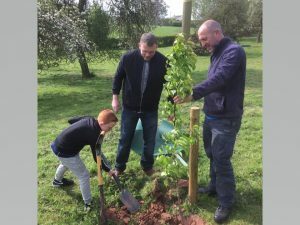 We have surveyed the fruits produced by our Traditional Orchard sites and planted new grafted stock of old varieties to replenish or replace old trees. 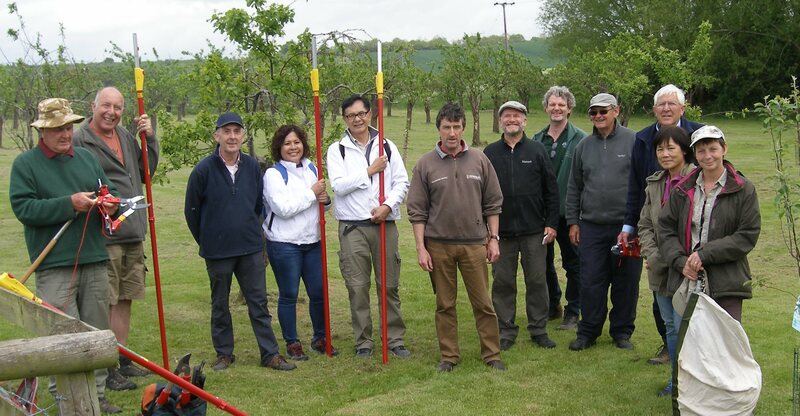 We’ve offered volunteers in our project orchards the chance to learn from the some of the most experienced orchardists in the region. 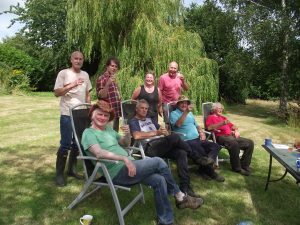 We provided all the tools needed and made sure volunteers knew how to use them safely – they just brought along a packed lunch and a sense of humour and orchard owners were generous in providing tea and cake. It was a great opportunity to get outside and enjoy ourselves whilst doing something useful. And as you can see, it wasn’t all hard work! We’ve managed to restore 34 orchards, large and small, usually for owners who, for whatever reason, can’t manage them themselves and provided advice for many more. Over 300 people have helped to do this and each orchard restored is a cause for celebration since we’re helping to save our traditional orchard heritage. As part of our project legacy, we have produced short films and downloadable guides for future use.